With a need to accommodate a growing population, Jefferson County commissioned GA Studio to study the spatial growth projections and prepare a master plan for the Bessemer Complex in downtown Bessemer, Alabama. The latest addition to the complex is the Jefferson County Bessemer Justice Center, housing all circuit and district courts, clerks and district attorney offices. Designed to meet the latest security standards, this modern building is clad in a limestone arcade reflecting traditional courthouse aesthetic. In contrast, the 2nd and 3rd floor public corridors are wrapped in floor to ceiling glass with an open view to the building’s roof garden. 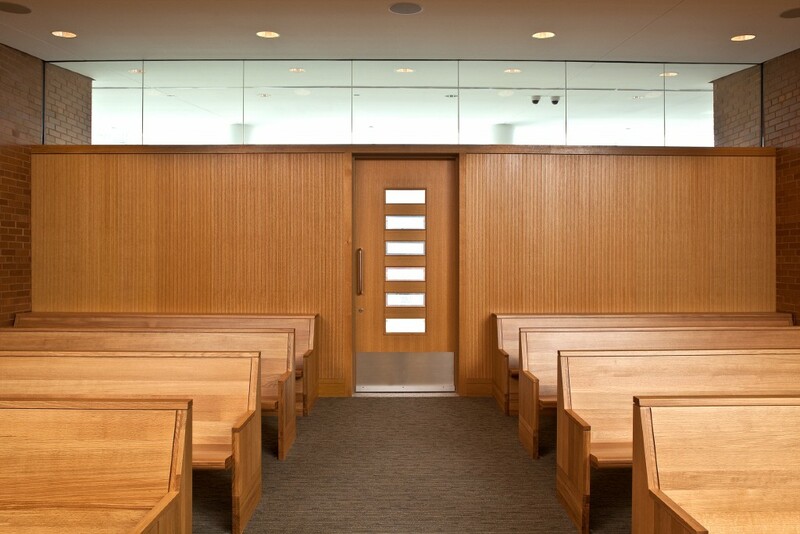 The floor to ceiling glass embodies the unique transparency of our judicial system. Connecting the three stories is a light-filled monumental stair flanked in glass and granite. As a value-added component, the building is designed with built-in growth space and the structural capacity for an additional future three floors.